Discard an Item card from your hand. 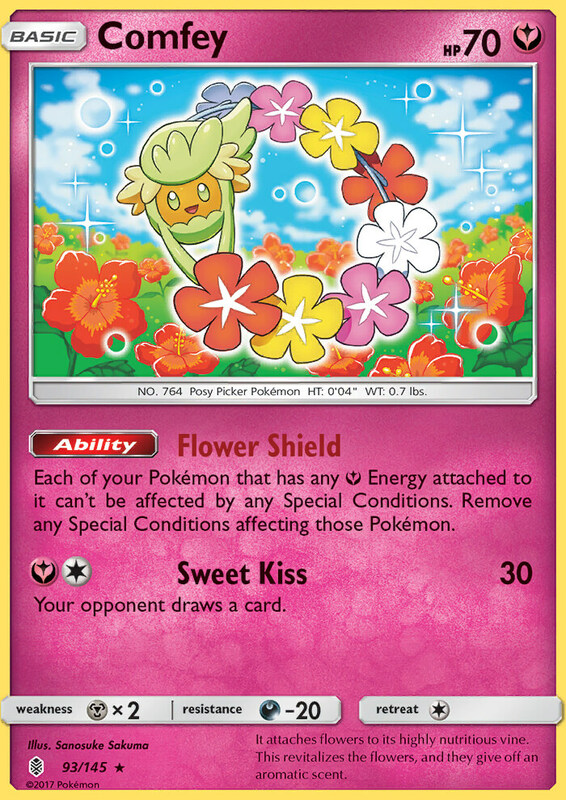 If you do, this attack does 60 damage to 1 of your opponent’s Pokémon. This attack’s damage isn’t affected by Weakness or Resistance. This Pokémon does 30 damage to itself. It circles in the sky, keeping a keen eye out for Pokémon in a weakened state. Its choicest food is Cubone. 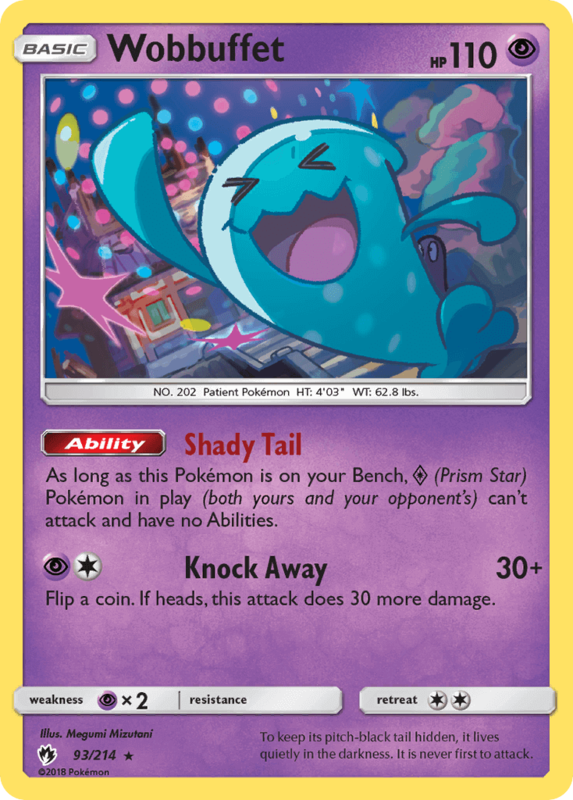 As long as this Pokémon is on your Bench, Pokémon Prism Star in play (both yours and your opponent’s) can’t attack and have no Abilities. To keep its pitch-black tail hidden, it live quietly in the darkness. It is never first to attack. With magnetic traction, it pulls its opponents in close. When they’re in range, it slashes them with its rear claws. This Pokémon’s mucous can dissolve anything. Toothless, it sprays mucous on its prey. Once they’re nicely dissolved, it slurps them up. 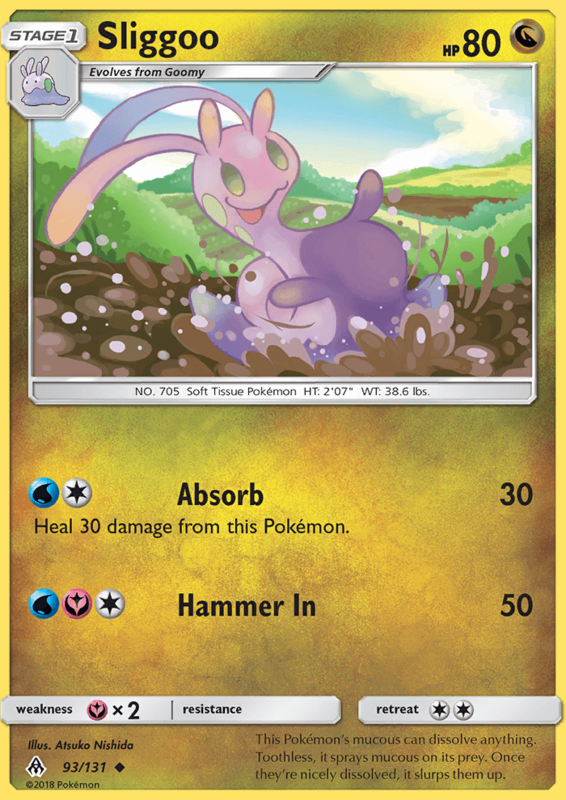 Once during your turn (before your attack), you may search your deck for a [Y] Pokémon, reveal it, and put it into your hand. Then, shuffle your deck. Forests where Shiinotic live are treacherous to enter at night. People confused by its strange lights can never find their way home again. 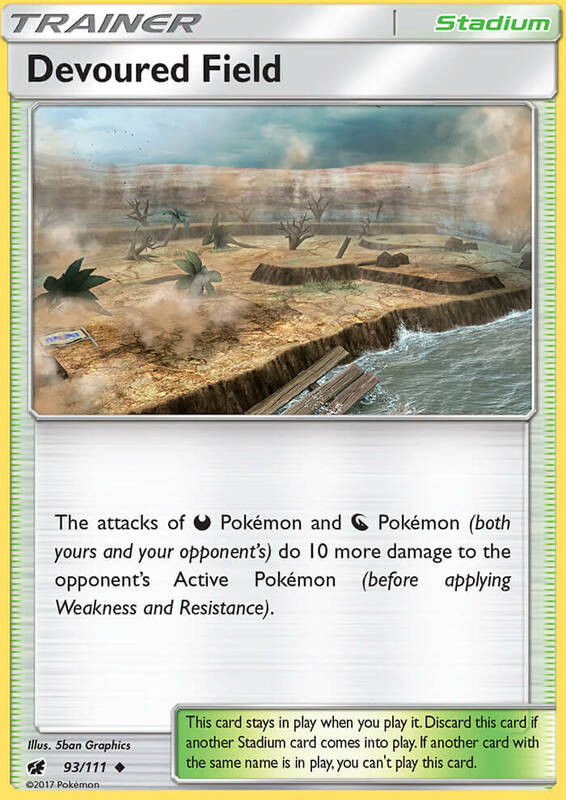 The attacks of [D] Pokémon and [N] Pokémon (both yours and your opponent’s) do 10 more damage to the opponent’s Active Pokémon (before applying Weakness and Resistance). 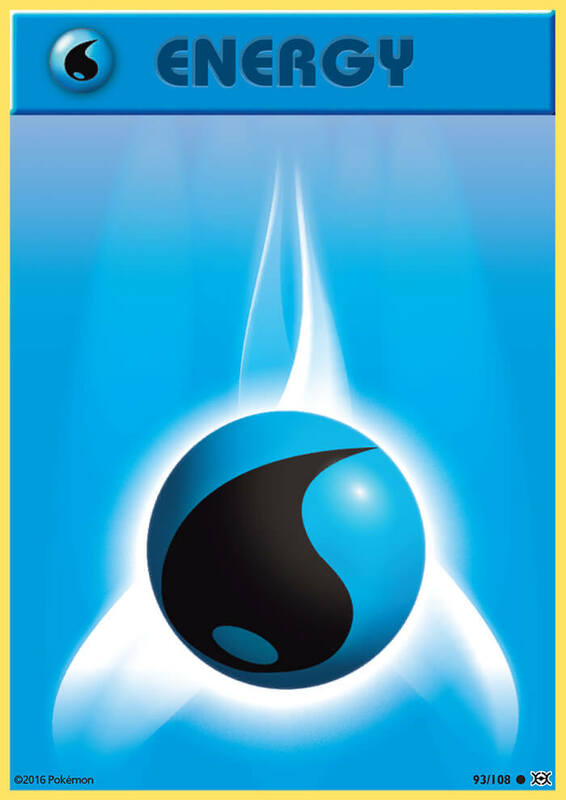 Once during your turn (before your attack), you may attach a [Y] Energy card from your hand to 1 of your Pokémon. This attack does 30 damage times the amount of Energy attached to both Active Pokémon. Each of your Pokémon that has any [Y] Energy attached to it can’t be affected by any Special Conditions. Remove any Special Conditions affecting those Pokémon. Your opponent draws a card. It attaches flowers to its highly nutritious vine. This revitalizes the flowers, and they give off an aromatic scent. 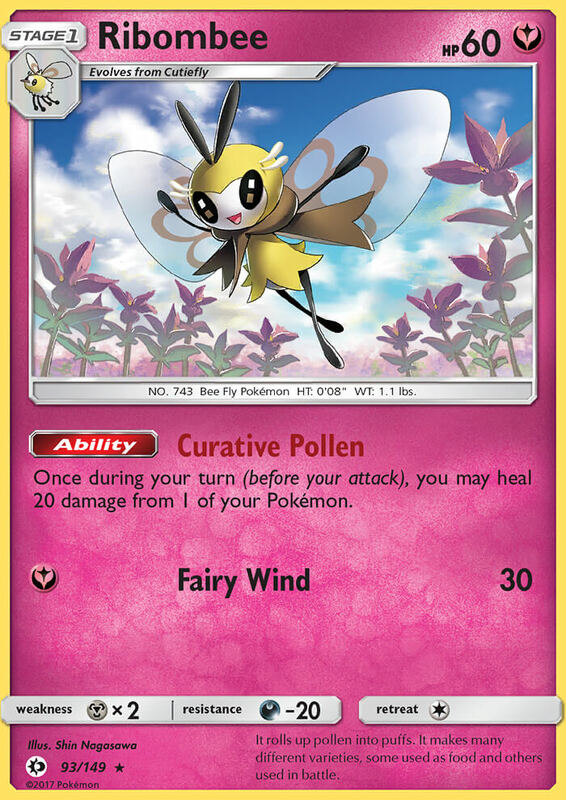 Once during your turn (before your attack), you may heal 20 damage from 1 of your Pokémon. It rolls up pollen into puffs. It makes many different varieties, some used as food and others used in battle. Flip a coin. If heads, this attack does 50 more damage. 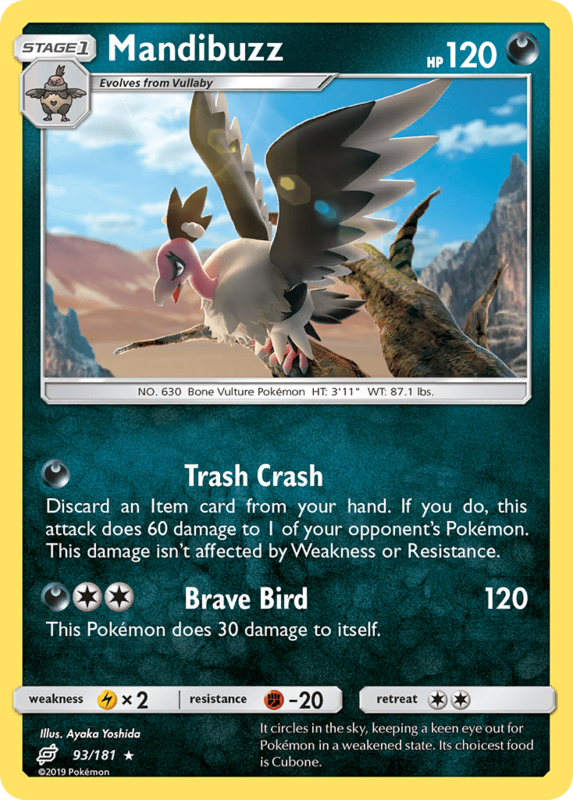 This attack does 120 damage minus 20 damage for each [C] in your opponent’s Active Pokémon’s Retreat Cost. They fight for their friends without any thought about danger to themselves. One can carry a car while flying. Your opponent puts a card from his or her hand on the bottom of his or her deck. When it’s happy, Glameow demonstrates beautiful movements of its tail, like a dancing ribbon. 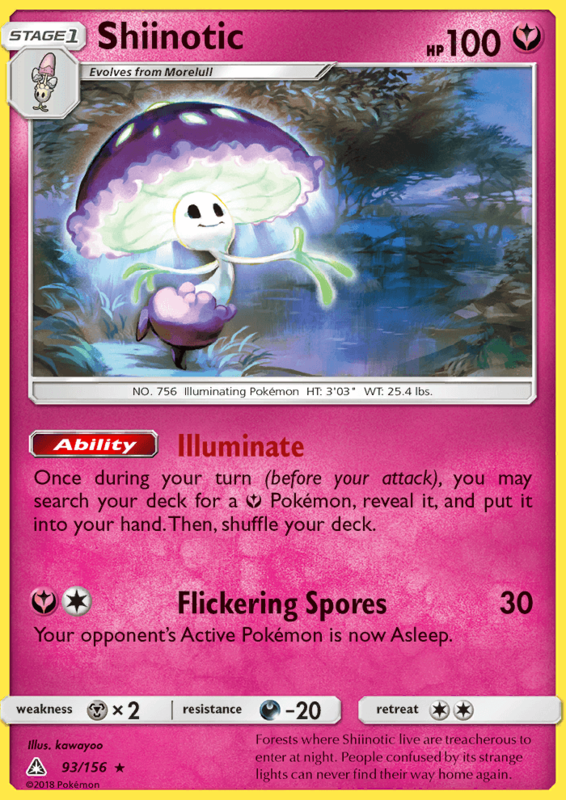 It flashes the light-emitting spots on its body, which drains its opponent’s will to fight. It takes the opportunity to scuttle away and hide. 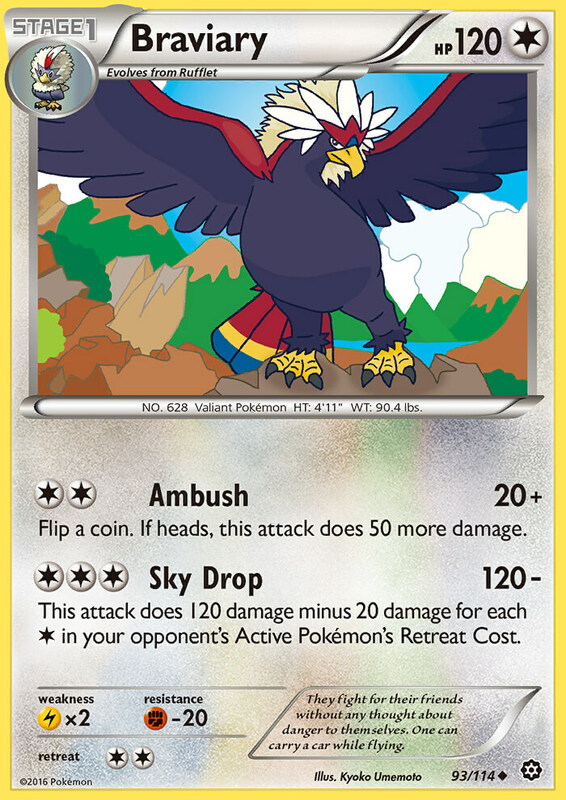 Prevent all effects of attacks, including damage, done to this Pokémon by your opponent’s Mega Evolution Pokémon. 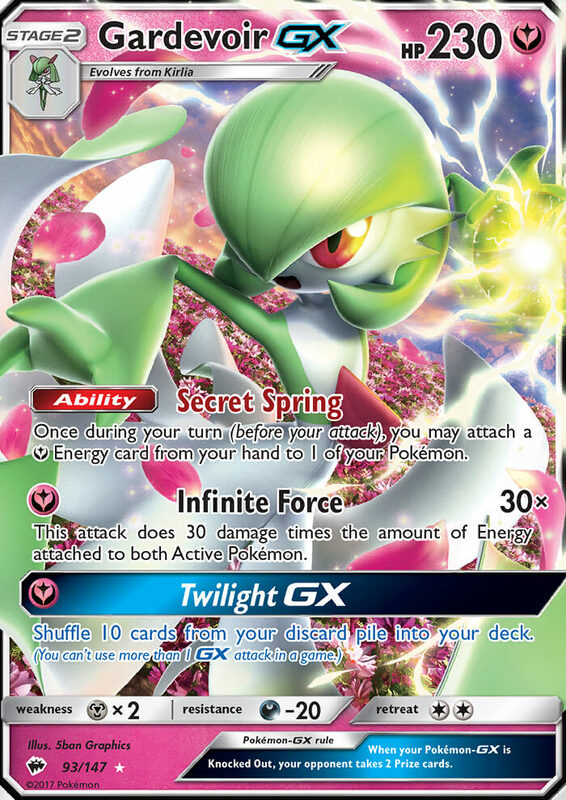 Your opponent can’t play any Pokémon Tool, Special Energy, or Stadium cards from his or her hand during his or her next turn. Discard 2 cards from your hand. (If you can’t discard 2 cards, you can’t play this card.) Search your deck for a Pokémon, reveal it, and put it into your hand. Shuffle your deck afterward. 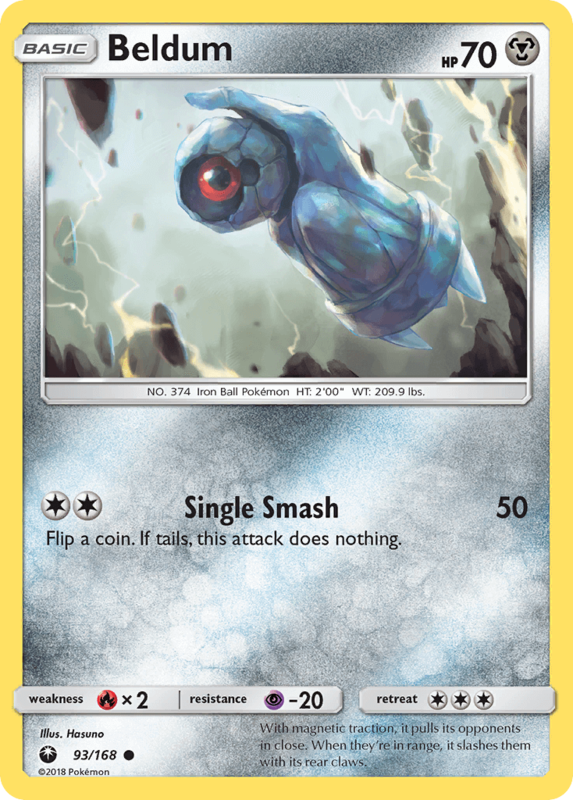 Each [P] Pokémon’s attacks (both yours and your opponent’s) cost [C] less. Remove all Special Conditions from your Active Pokémon. Heal 60 damage and remove all Special Conditions from 1 of your Pokémon.